What is a “First Alert Weather Day”? How will I know one is happening? The idea is extra dedication, even during our normal newscasts, to keep you up-to-date on the latest forecast ahead of, and during, potentialy life-threatening weather. 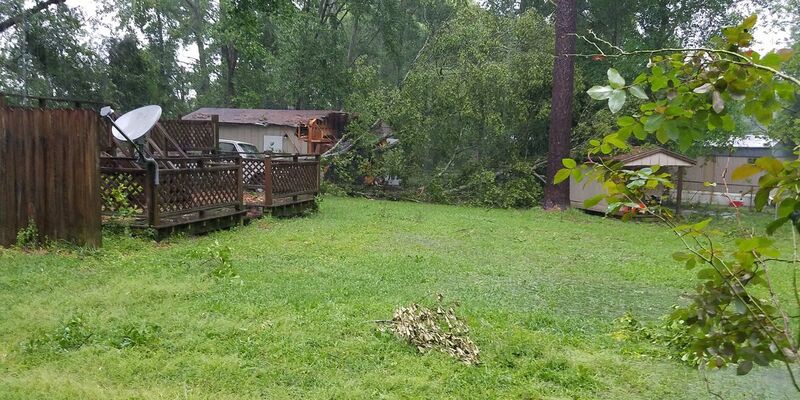 On WDAM.com and our mobile apps, there will be extra weather graphics and weather-related stories posted, as well as an updated detailed forecast. 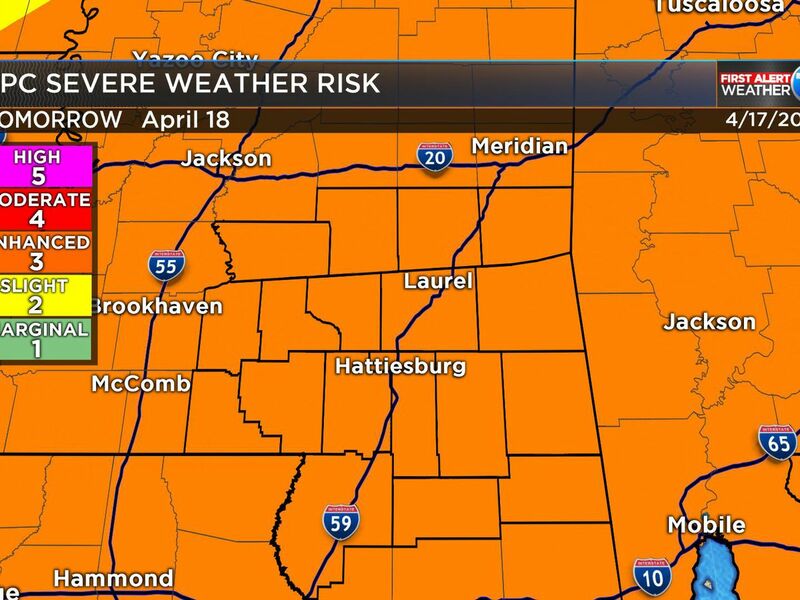 The WDAM First Alert Weather Team will post graphics to social media with the words “First Alert Weather Day” and identify which day, and what time during that day, the weather will be life-threatening. You'll see the WDAM First Alert Weather Team with added visibility during newscasts, and on television, during the days before and during the weather event. There will be an increased presence of the weather team during newscasts, different graphics will be used with preparedness tips for before, and ways to stay safe during, the weather event. There will also be a red “ALERT” bar used on the Seven Day Forecast. 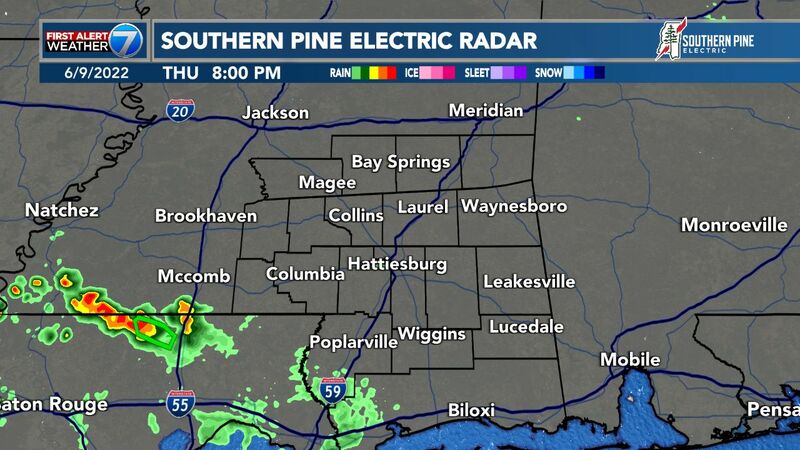 That’s for just in case you’re just tuning in at the end of the weather cast, you’ll know what day the WDAM First Alert Weather Team expects the weather to be life-threatening. What kind of “life-threatening” weather dictates the issuance of a First Alert Weather Day? The WDAM First Alert Weather Team is only concerned with your safety and will only use these days when it is necessary. In fact, the “First Alert Weather Day” isn’t used often. 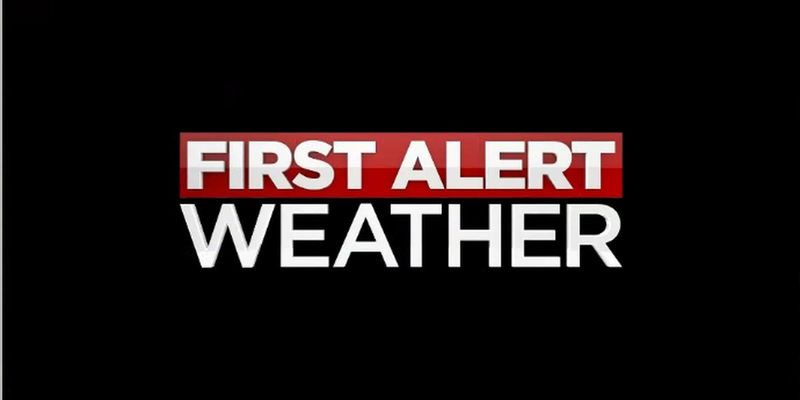 It may be weeks between when the term “First Alert Weather Day” is mentioned on-air or online. But when it is, it means that meteorologists at WDAM are concerned for your safety on a particular day. How will I know when the threat is over? 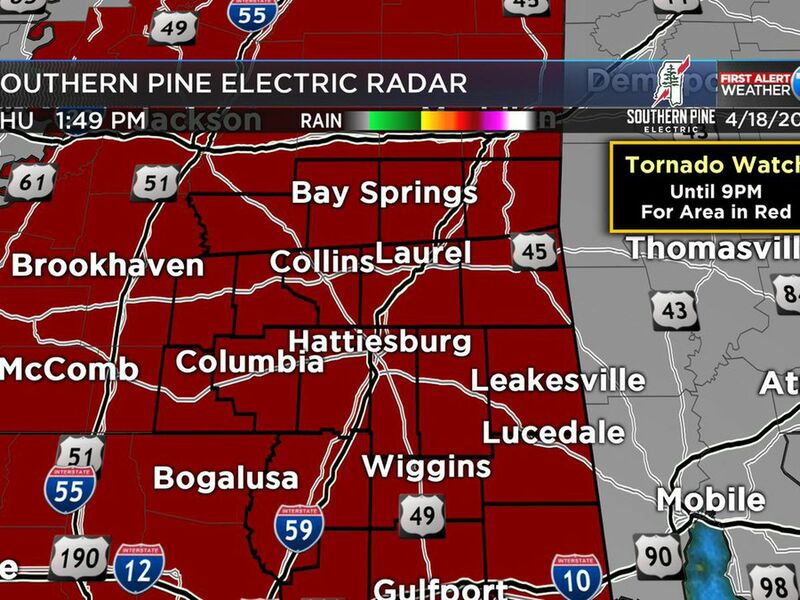 The WDAM First Alert Weather Team will mention on-air, post online and update social media when the threat has passed and the "First Alert Weather Day" is over. Good morning everyone! We're starting off your day warm with temps in the mid 50s.